There Are Many Ways to Help LCHC and Its Patients. LCHC continues to look at opportunities for volunteers of all ages to help support our mission. Current needs include putting together new patient folders, helping with mailings and delivering brochures. Our needs are sporadic, but we are working to build regular volunteer opportunities. If you are interested in sharing your time, please contact us. LCHC welcomes high school and college students for job shadows. If you are interested in an internship or long-term learning opportunity, please contact us. 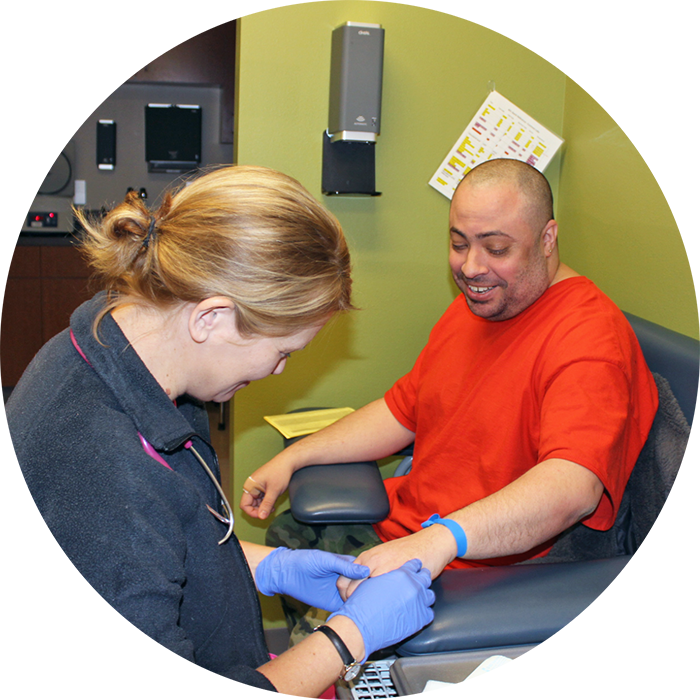 Lakeshore Community Health Care (LCHC) provides access to comprehensive, integrated health care, regardless of ability to pay, eliminating health disparities among the underserved. LCHC strives to create communities where all people live healthy, active and prosperous lives. LCHC aspires to be a preferred provider and an employer of choice. The Greatest Need: Your contribution will help thousands of your neighbors receive quality medical, behavioral health and dental care, regardless of their income or insurance status. All Together Now Campaign: Donate to our Manitowoc capital campaign, which brings all of our services under one roof, allowing Lakeshore Community Health Care to double its capacity to serve patients. The William Weissert Community Room: Help us honor and remember the late William(Bill) Weissert by making a donation to the community room, a space for non-profits, support groups, companies and organizations to host educational programs, meetings, training events and other activities.